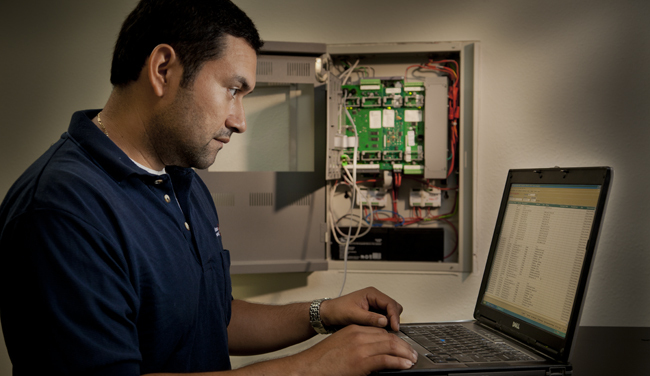 Tests and Inspections are innovative electronic fire and life safety inspection solutions performed in accordance with regulatory standards by factory trained certified and/or state licensed technicians. Our customers are provided easy access to their reports online 24/7 instead of waiting for mail, faxes, or e-mails. Inspected devices are bar-coded and scanned to provide an accurate, verifiable inspection record for every device serviced. Instead of being shoved in a filing cabinet, inspection data is stored on secure servers that are backed up daily and archived off-site. To ensure continued compliance, the automated service authorization solution increases the speed and accuracy of scheduling repairs.